You are here: Home / About Farming & Food / Is This Yeast Still Good? Yeast is a living organism. It’s best to proof, or test, yeast before you bake with it. 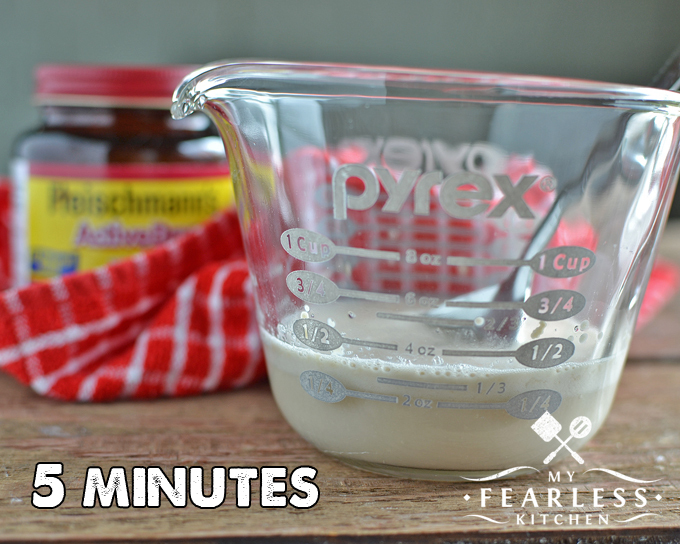 Find out how to tell if your yeast is still good with this easy trick. Yeast is a single-celled organism, in the fungus family. It is related to mushrooms, to mold that is used to ripen some cheeses, and to molds that are used to make medicines. Yeast is a living organism, and it needs to be handled with a little bit of care. If yeast is stored incorrectly or if it is too old, yeast can die. Yeast should be stored in it’s original packaging in a dry, cool place. Once it is opened, it should be stored in an airtight container in the refrigerator. When yeast eats, it goes through a metabolism process called fermentation. Yeast produces carbon dioxide and ethyl alcohol as by-products of fermentation. The carbon dioxide is what gets trapped inside gluten proteins in your bread, and this is how bread rises. The alcohol gives some of the classic “yeasty” flavor to breads. The primary yeast used in baking is Saccharomyces cerevisiae. Other varieties of yeast are used to make alcohol. 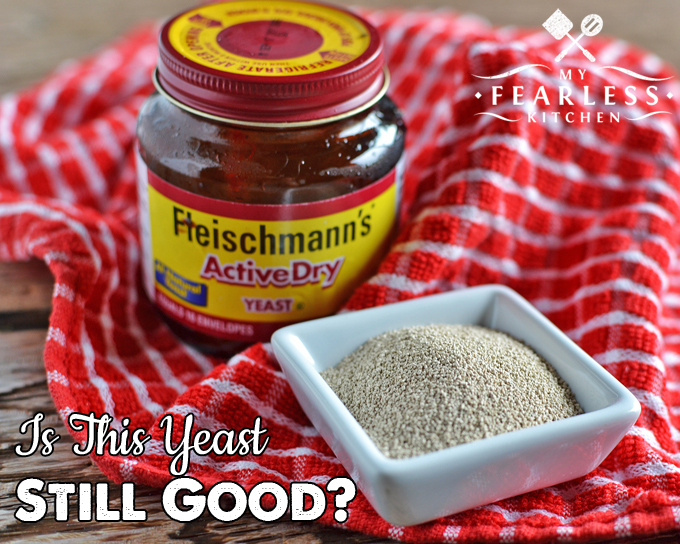 Yeast sold in your grocery stores as active dry yeast or in yeast cakes is still active, but is in a dormant state. Most yeast needs to be “proofed” or “woken up” before it is ready to use in a recipe. 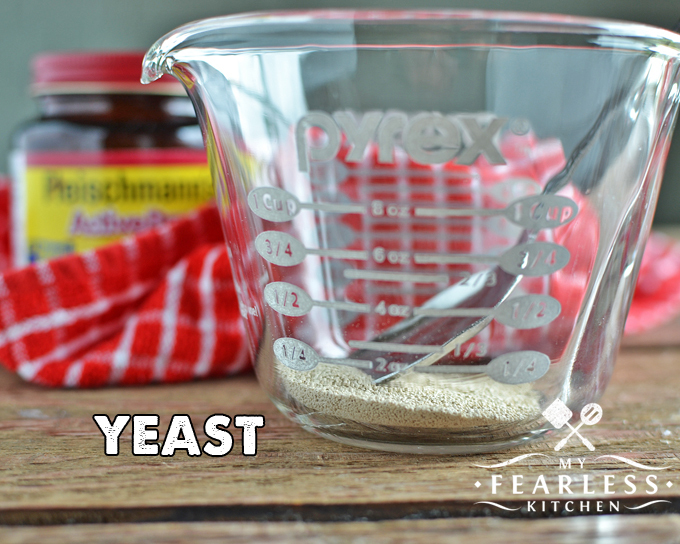 Start with 1 packet of yeast (about 2-1/4 teaspoons) in a 1-cup measuring cup. The yeast should be room temperature before proofing. 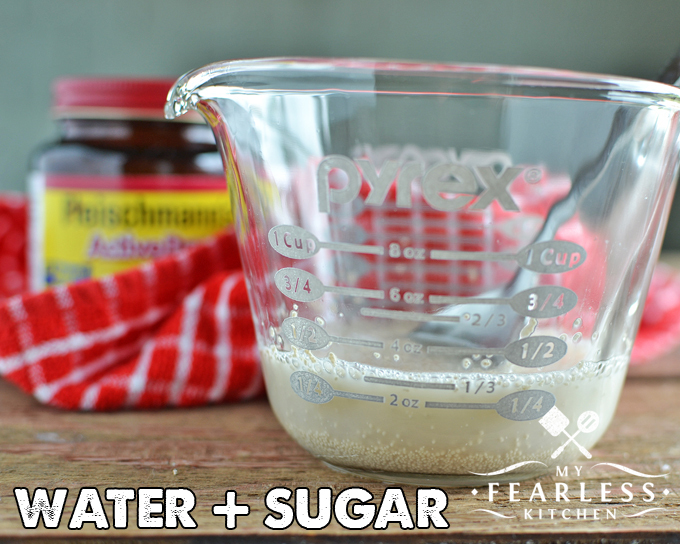 Add 1 teaspoon of sugar and 1/3-1/2 cup warm water and stir well to mix. It is important that the water temperature is correct. If the water is too hot, it will kill the yeast. If the water is too cold, it won’t “wake up” the yeast. The water should be between 100-115 degrees F (37.7-46.1 degrees C). The best way to get the correct temperature water is with a thermometer. If you don’t have a thermometer available, you want the water to be lukewarm to the touch. Let the yeast mixture sit at room temperature. After 5 minutes, there should be a creamy foam forming on the top of the water. This foam is the carbon dioxide released from the yeast as it ferments the sugar. Within 10 minutes, there should be even more foam and you should see discrete bubbles forming at the edges of your measuring cup. By this time, the foam should be up to the 1 cup line on your measuring cup. If you’ve never baked bread before, this recipe for Easy Homemade Bread is a great place to start. 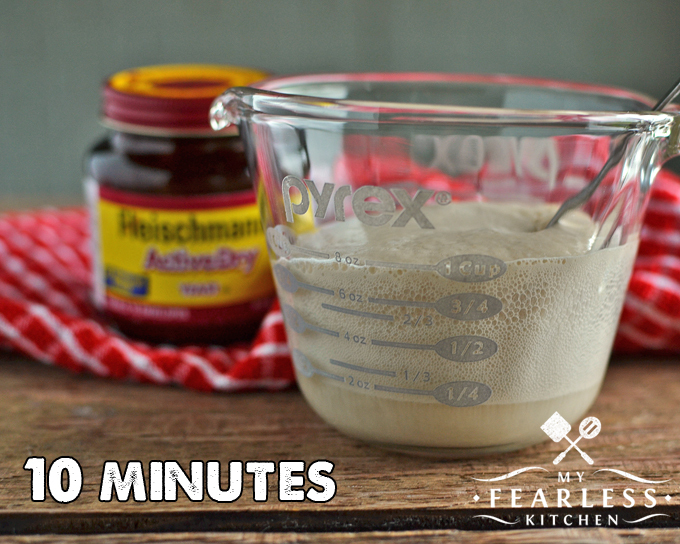 What other questions do you have about how to use yeast?